“I like to call this program ‘Romanticism: Redux,’” says conductor Nicholas Hersh of his upcoming March 17 concert with the Asheville Symphony. “We explore how the Romantic voice resonates in the 21st century.” And explore he will, with a program that spans more than 200 years and ranges from Beethoven and Freddie Mercury. The full menu of musical offerings for the evening includes Beethoven’s fiery Leonore Overture No. 3, Jonathan Leshnoff’s 2015 Chamber Concerto for Violin & Orchestra featuring guest violinist Itamar Zorman, Hersh’s own orchestral interpretation of Queen’s “Bohemian Rhapsody,” and Rachmaninoff’s Symphony No. 2. The concert takes place at 8 p.m. in downtown Asheville’s Thomas Wolfe Auditorium. Hersh is the fourth of six finalists for the Asheville Symphony’s music director position to conduct an audition concert. The audience will be asked to give feedback via a survey after the concert. The two remaining finalists will conduct concerts in April and May. Beethoven’s fierce Leonore Overture No. 3 begins the program. Ever the perfectionist, Beethoven composed four different overtures for his opera Fidelio, and all four are still popular in the concert hall. The third overture was composed in 1806 for an abridged performance of the opera. It is a musical summary of the opera and contains many of its most important themes including torment, confusion, and ultimately euphoria. 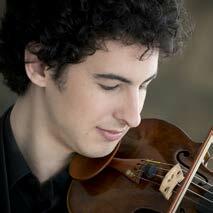 Next, guest soloist Itamar Zorman joins the symphony for Jonathan Leshnoff’s Chamber Concerto for Violin and Orchestra (2015). Leshnoff writes of his composition process, “When I write a concerto, I have to become the instrument. It’s a double refraction: it has to go through me and then through the solo instrument.” His musical language is lyrical and accessible, and bears a resemblance to that of Samuel Barber, with an Eastern European Jewish cast. Itamar Zorman emerged with the top prize at the 2011 International Tchaikovsky Competition and has wowed audiences all over the world with breathtaking style ever since. 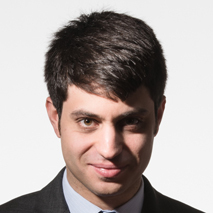 He is the recipient of an Avery Fisher Career Grant and a Borletti-Buitoni Trust award, and, in addition to receiving top prize at the 2011 International Tchaikovsky Competition. Zorman has performed with major orchestras around the world including the American Symphony Orchestra, the Tokyo Symphony, the Orchestre National du Capitole de Toulouse, the Israel Philharmonic, and the St. Petersburg Philharmonic. He has given recitals at Carnegie Hall in the ‘Distinctive Debuts’ series, the Louvre Recital Series in Paris, Tokyo’s Suntory Hall, the Laeiszhalle Hamburg, Muziekgebouw Frits Philips in Eindhoven, the HR-Sendesaal Frankfurt and the Kolarac Hall in Belgrade. Following the concerto is Nicholas Hersh’s own arrangement of Queen’s instantly recognizable “Bohemian Rhapsody,” which will also feature Zorman on violin. Hersh says of this work, “A piece with the title ‘Bohemian Rhapsody’ might as easily have been a tone by Dvořák as a chart-topping rock single by the British band Queen—but Freddie Mercury’s genre-bending composition is probably closer to Czech Romanticism than it is to his rock contemporaries when it was released in 1975.” Originally intended as a one-off encore for a concert during Hersh’s grad school years, the arrangement became a YouTube sensation prompting him to orchestrate it for both solo viola and violin and to continue to perform it to the delight of audiences. To conclude the evening’s program is Rachmaninoff’s Symphony No. 2. This expansive work, reflecting the composer’s love for long Romantic themes, was premiered with Rachmaninov on the podium in St. Petersburg in January 1908 to great applause. Considered semi-autobiographical, the piece combines Rachmaninoff’s 19th-century Russian roots with a lush, 20th century orchestral sound. This symphony followed the dismal failure of Rachmaninoff’s first symphony, and its tone mirrors the artist’s redemption, moving from somber to energetic to epic, and ultimately ending with a festive and joyous finale. Saturday, March 17, 2018 • 8 p.m.